A zone, as it relates to HVAC systems, is an area composed of a portion of a building, a whole building, or several buildings that are serviced by an air handling unit (AHU). There is typically one AHU per zone. In some cases, multiple AHU's are utilized per zone to create inter-zones within a single area. 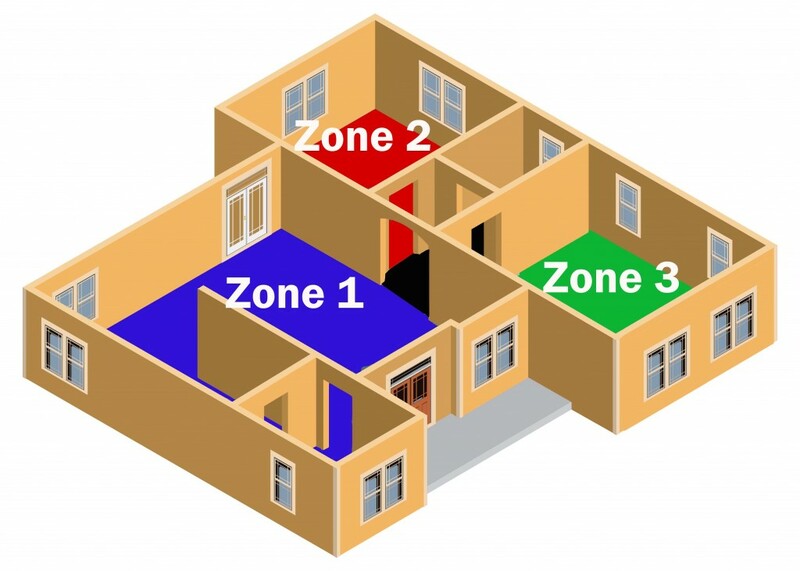 Sensing units are used to monitor the zone for occupancy which in turn determines where in the zone airflow is needed. For smaller commercial spaces, smart dampening or mini split systems can be used. These systems are able to utilize a single AHU to manage the air condition of multiple zones. See also, "What is an air handling unit (AHU)? ", "What is a mini-split HVAC system?"